T-shirts are very common products in the huge apparel product varieties. Whatever product you make you need a specification sheet and measurement chart to get the desired fit of the stitched t-shirt. 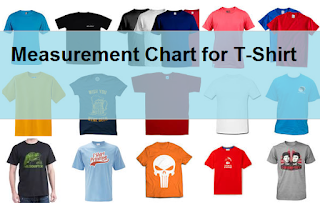 For your reference a measurement chart of a T-shirt is shown in the following table. This measurement specification is taken from a Germany based clothing brand P&C. All measurements are in centimeters. 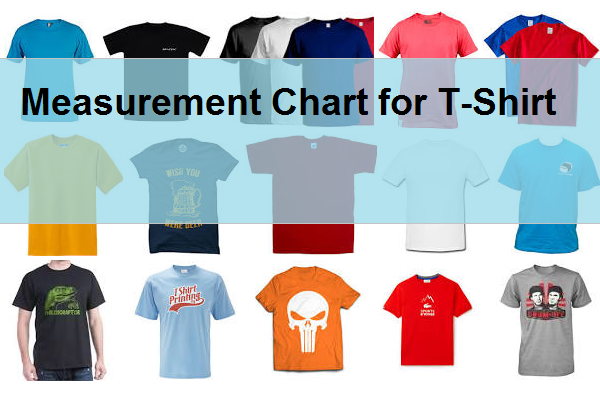 Table-1: Measurement Chart for Regular fit T-shirt for round neck and V-neck.